Step Up Consulting – Page 2 – Ideas that serve. Service that works. Plan Philippines (PLAN Ph) conducted a 2-day consultative workshop with its key partners working on youth employment and entrepreneurship on February 28-March 1, 2017 to solicit ideas and strategies, identify programmatic areas of convergence on youth employment and development, discuss gaps and challenges on youth employment solutions, and identify opportunities for labor market initiatives and industry development. The result of the consultative workshop will be used by PLAN Ph in developing a possible future proposals on youth employment and entrepreneurship in Region VIII. PLAN Ph has implemented the Igniting Youth Employment and Livelihood Opportunities in Typhoon-affected Areas project funded by Accenture and Plan Netherlands since 2014. The project is a multi-stakeholder intervention delivering technical/vocational and employability (soft) skills to marginalized youth between the ages of 17 and 30 in Guiuan, Salcedo, Balangkayan, Hernani and Tacloban municipalities severely impacted by Typhoon Haiyan. Step Up Consulting was contracted by Plan Philippines to facilitate and document the workshop held at Leyte Park Hotel and attended by more than fifty participants, including youth representatives. Step Up Consulting facilitated the business planning for a multi-specialty clinic and diagnostic center in Palawan last December 17-18, 2015 at Sunlight Hotel Palawan. The business planning activity was attended by board and staff members of the Padre Pio Multi-Specialty Clinic and Diagnostic Center. The business planning sought to define the direction of the organization up to 2020 and the strategies to achieve this. It also helped redefine the roles and responsibilities of the different organizational stakeholders in achieving both strategic and operational goals. Participants considered the activity as very productive and relevant to their needs. Step Up consultants ensured that the design of the activity will meet the expectations or the organization; achieve desired outputs in a fun and productive way. Last 17 October 2015, Step Up Consulting Services (Step Up) and Transparency International-Philippines (TI-PH) co-organized Making Open Data User-Friendly: An Open Data End-User Engagement Workshop,through the generous support of the Southeast Asia Technology and Transparency Initiative (SEATTI). Combining talks from experts in open data, transparency and data use with interactive workshops, the event aimed to bring open government data to the doorsteps of concerned groups and individuals. This is Transparency International-Philippines’ second Technology for Transparency workshop, which is an overall initiative to use technology as a means to innovate integrity tools and promote transparency. TI-PH’s involvement in the workshop links the implementation and use of open data with the fight against corruption. In partnering with TI-PH, Step Up Consulting Services aimed to share its research on the state of open data in the Philippines. The research was successful in pinpointing the various elements which interact and cause challenges for open data use. Step Up views the end-user engagement workshop as a springboard toward identifying, improving, and sharing the solutions identified for the challenges we face in opening data in the country. Together, the workshop organizers gathered different experts and participants with a shared interest in making open data more accessible, comprehensible and most importantly, usable by potential beneficiaries. Speakers for the workshop were Michael Canares, Strategy Advisor of Step Up, Dr. Cleo Calimbahin, Executive Director of Transparency International, Dody Priambodo, Project Manager of SEATTI, Michelle Manza of the Open Data Task Force, and TJ Palanca, Operations Coordinator of Uber Philippines and data blogger at Jumbo Dumbo Thoughts. Step Up Consulting Services was contracted by Soil and Water Conservation Foundation (SWCF) to write its book of best practices in natural resource management. SWCF management team and staff in a book concept writeshop last September 2015. SWCF has been in existence for more than thirty years now. SWCF began in 1985 as an informal network of persons of several nationalities concerned with the global ecological challenge and the necessity of broad-based local initiatives to respond. It started small-scale support of existing projects by providing inputs to farm-based species trials and consultancy services to hone the technical and management capabilities of project staff and extension workers. Convinced that the geo-physical eco-system called the watershed is the operative planning and implementation unit, the Foundation embarked on its first three comprehensive, integrated and cooperative ventures to rehabilitate three watersheds in Cebu, Negros Oriental, and Negros Occidental. Since these three initial projects, the Foundation has completed implementation of almost a hundred environment projects in at least four regions in the Philippines for the last three decades. The initial title of the book was “Nourishing the Earth, Nurturing the Soul”. The title speaks volumes of what SWCF wanted to do, and is still trying to do since the time it started – to nourish the earth, and nurture the soul – two processes that feeds into each other and articulates SWCF’s development philosophy. SWCF does not only intend to change the landscape but also the people. This involved understanding deeply why people and communities lose appreciation of God’s creation and finding ways on how collectively stakeholders are able to restore this. 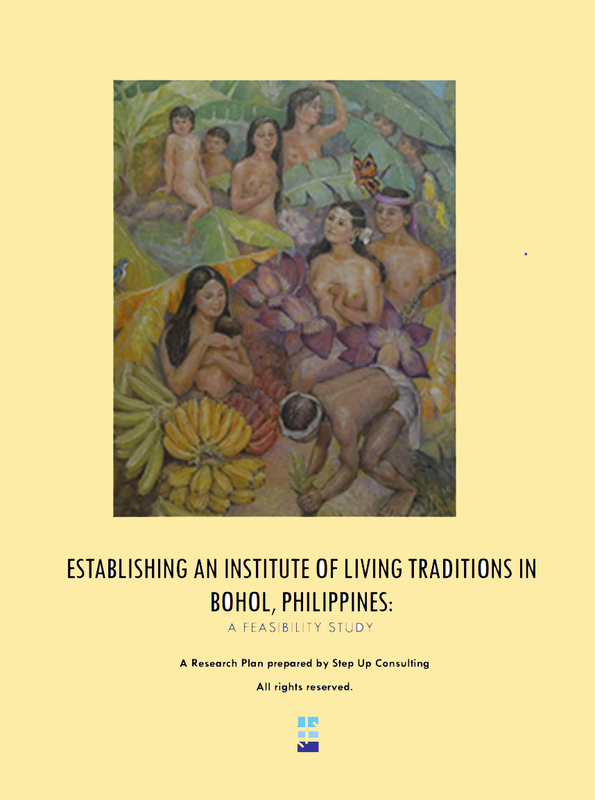 This book narrates how these processes evolved in the communities in Bohol, how people were touched, and how it led helped restore the environment. On 27-31 July 2015, Step Up’s Strategy Advisor, Mr. Michael Canares, joined seventy other scholars from around the world to attend the Social and Solidarity Economy at the International Development Corporation in Johannesburg, South Africa. The theme of the academy was Social Innovation in the World of Work and is the 5th edition of the academy since it started in 2011. The academy is sponsored by the International Labour Organization (ILO), a specialized agency of the United Nations. Mr. Canares’ participation was sponsored by the ILO. Step Up Consulting sponsors the leadership training of thirty high school students of Sacred Heart College in Calamba Misamis Occidental. The training was part of the SHS Alumni Batch 91 activities of which Step Up’s strategy advisor is the class president. The training was conducted on 4 July 2015 at the school’s audio-visual room. The students selected to attend the training were classroom officers of the school. They were treated to a day of structure learning experiences, brief talks, and group-sharing activities to hone their skills in managing and leading groups. The training drew heavily from Blanchard’s situational leadership principles. Students who attended the training appreciated the value of activity and the school faculty expressed appreciation for the support of the sponsoring group. Training program was provided by Step Up Consulting staff while food and logistics were shouldered by Batch 91. Step Up welcomes Dr. Dave Marcial who joins the firm’s roster of consultants and provide services to clients. Dr. Dave Marcial is dean of computer studies at Silliman University. Dave’s research is on ICT applications and how this has impacted society more particularly the education sector, drawing from extensive studies in IT (bachelor and masters) and blending that with his doctorate degree in educational management. 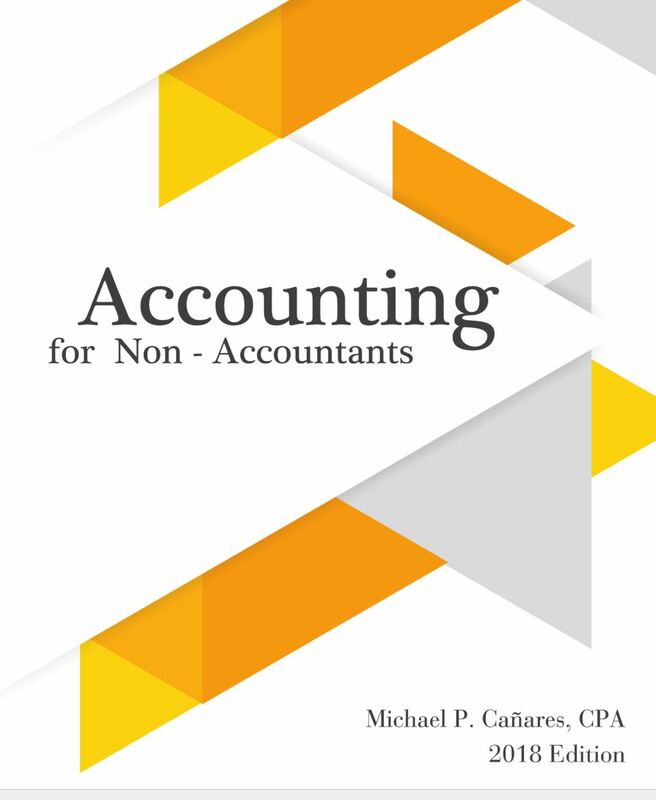 Dave is an author of numerous papers and has presented his work in different conferences in the Philippines and abroad. He is currently the president of the Philippine Society for IT educators, and the founder of the Society for Information and Communication Technology in Teacher Education. More information regarding Dave can be found here. He joins the research team for for the Encite OGD project that Step Up implemented with funding support from the International Development Research Center.